2016: College Art Association Annual Conference, "The Formation of a National Photographic Archive: Conflicts, Narratives and Propaganda in Early Twentieth Century Palestine." Washington, D.C., February 3-6, 2016. 2015: Rethinking Early Photography. Lincoln University (UK). Presenter. “Pioneering the Body: The Formation of the Zionist Photographic Archive.” 16-17 June, 2015. Annual Meeting of the Israel Studies Association (AIS). Concordia University, Canada. Presenter. “The Sustainable Archive: The Jewish national Fund and the Shaping of a National Body.” June 1-3, 2015. Taub Center for Israel Studies, NYU, Graduate Workshop. Invited Speaker. “From the Home to the File: Narratives, Bodies and Their Image in the Non-National Archive.” January 30, 2015. 2014: Crossing the Boundaries XXII: Political Topographies, Graduate conference, organized by the Art History Graduate Student Union, Binghamton University. “Under Dor Guez’s Bed: Re-viewing the Christian Palestinian Archive.” April 4-5, 2014. 2013: A Matter of Time: Temporalities of Material Culture, Graduate conference, organized by the visual and cultural studies program, Rochester University. “The Archive of the Jewish National Fund.” April 5-6, 2013. Theorizing the Web 2013, Interdisciplinary conference, organized by the University of Maryland and held at CUNY, NYC. “Framing an Emergency: Photography in Areas of Conflict.” March 1-2, 2013. 2012: Frick Symposium Rehearsal, Binghamton Art History Department. “The camera and the collecting Gene.” December 18, 2012. Archiving Machines: a seminar conference, Binghamton Art History Department. “We Must Inundate the Jewish public with slogans and pictures: The Archive of the Jewish National Fund.” December 17, 2012. Memories Can’t Wait: Symposium organized by the International Center for Photography and the Center for Curatorial Studies, Bard College. December 14-15, 2012. Beyond Representation: Photography, Humans and Computers. Conference organized by London South Bank University and the journal Philosophy and Photography (London, UK). May 24-25, 2012. Intercultural Communication, 2012 Graduate Symposium, James Madison University, Presenter, April 5-6, 2012. 2011: Frick Symposium Rehearsal, Graduate presentations, Art History Department, SUNY Binghamton, “Silence of the Lost Object: Tacita Dean’s Floh.” December 13, 2011. Critical Information: Mapping the Intersection of Art and Technology, School of Visual Arts, graduate conference, Presenter, “Social Engagement, Visual Participation and Perception.” December 3, 2011. Critical Themes in Media Studies, Graduate Student Conference. The New School, Presenter, “Re-thinking the Image in the Digital Age.” April 15-16. 2010: Concepts of Art in History Workshop. The Van Leer Institute, Jerusalem. Presenter, “The Immémorial, a Meeting Point.” August 27, 2010. 2018: Launch Sites, Symposium: Udi Edelman in Conversation with Rotem Rozental, American Jewish University, Los Angeles. 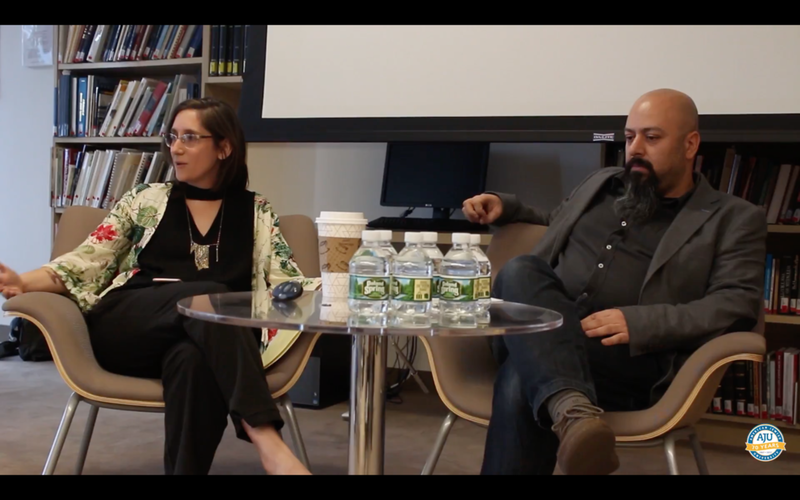 2016: Josh T. Franco in Conversation With Rotem Rozental, Independence Curators International Curatorial Hub, held in conjunction with the exhibition Dead Lands: Karkaot Mawat. April 28, 2016. 2015: Picturing the Community: Ariel Shanberg in Conversation with Rotem Rozental, a talk given as part of the Open to the Sky Project, Beacon, NY, October 1, 2015. Site Responsive Formats: Collectives, Archives and Areas of Conflict, a lecture delivered at Montclair State University, Art Forum Lecture Series, September 15, 2015. 2014: The Photographer as Collector: The Photographic Desires of Martin Parr and Walker Evans, a lecture delivered at The Shpilman Institute for Photography, Tel Aviv, Israel, August 6, 2014. Jerusalem Season of Culture: Hidden Paths and Resonating Localities, a public talk with Roy Regev, delivered at the Beacon Hebrew Alliance, Beacon, NY, May 7, 2014. 2013: ZIK Group in Conversation with Rotem Rozental, a public event held in the framework of We, Festi-Conference for Creative Collectives, Valley of the Cross, Jerusalem. August 14, 2013. Living Together Symposium: Four Curators in Conversation about Residencies, a public event held in the framework of We, Festi-Conference for Creative Collectives, Valley of the Cross, Jerusalem. August 15, 2013. 2012: Collective Creation: A Gallery Talk with Designer Ron Arad, a public event in the framework of We, Festi-Conference for Creative Collectives, Hansen building, Jerusalem. August 23, 2012. Of Yesterday’s Sun, Gallery Talk with Uri Gershuni, Chelouche Gallery. Tel Aviv. 2011: Status Update: Designer Maya Negri and Rotem Rozental Discussing Social Media and Fashion, in conjunction with the exhibition Mechanical Order – Fashioning a New Order, Holon Design Museum. January 6, 2011. 2010: Blog / Architecture, a panel held by the Graduate Department of Architecture, Bezalel Academy, Tel Aviv, Speaker. 2015-2016: DIA Guide at DIA:Beacon. Researching the collection and preparing public tours based on individual scholarly interests. Spring 2014: Who are you With? : The Discrete Histories of Photography and Social Media. A six-week course taught in the Brooklyn Institute for Social Research. Read more. Winter 2014: Instructor, Governing Bodies: Photography in the Middle East, Art History Department, Binghamton University (200 level undergraduate course). Fall 2013: Instructor, teaching assistant, Visual Culture, art history department, Binghamton University (100 level undergraduate course). Spring 2013: Instructor, #Photography and #SocialMedia: From Cartes-de-Visite to Instagr.am, art history department, Binghamton University (200 level undergraduate course). Fall 2012: Teaching assistant, Histories of Photographies. Prof. John Tagg, art history department, Binghamton University (200 level undergraduate course). Spring 2012: Teaching assistant, Art Since 1945. Prof. Kevin Hatch, art history department, Binghamton University (200 level undergraduate course). Guest Lecture: “Photographic Practices and the Photobook,” April 19, 2012. Fall 2011: Teaching assistant, Gilded Pages, Islamic World. Prof. Nancy Um, art history department, Binghamton University (200 level undergraduate course).